Ok, so I am a sucker for pretty shoes and a book cover with shoes and the pretty colors caught my eye when I was at my local library with my boys. So I picked up this book and then read the back of the book. I never read anything by this author and I also haven’t read much about Iran. So I checked it out. I didn’t look it up online on my phone to see reviews, I just took it out on impulse. I got home and I read some pretty mean reviews. Some people were critical about the author who is non-Iranian, writing about an aspect of Iranian women’s experience. I understand, being a minority myself, I find that I am more critical of people writing about the African American experience. But I didn’t let this detour me because I knew this is one aspect and one perspective, it is not the whole and I think that is the best way to approach such writings. I enjoyed the book. 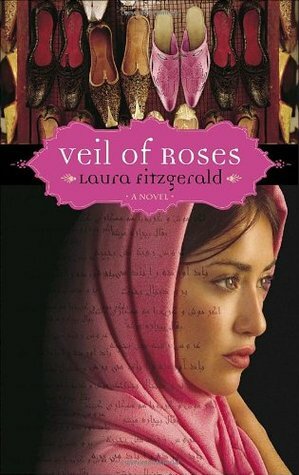 It was about a girl who’s family was forced to stay in Iran and the oldest daughter immigrated back to the US. The family made it possible for Tami to travel to the US to stay with her sister to find a husband so she could stay in the US. Some of the cultural blunders included (like the Starbucks incident) in the book were fun to read and it was fun to read the many characters along Tami’s journey. I found myself routing for a certain outcome while reading the book so it kept me reading. I also tried reading the book without judgement of the Iranian ways. I knew this book was a work of fiction and received it in that way.